Sony just announced a brand new, super cheap (for what it is) full-frame mirrorless camera that could make every high-end micro 4/3 camera, like the Panasonic GH5 and GH5s, look like complete garbage. The news came at the Wedding & Portrait Photographer International trade show in Las Vegas, Nevada (yep, that’s a thing). Sony, like Canon, was there to court the professional photographers and people with enough money to pretend they’re professional photographers. And with the new $2000 Alpha A7 III the company could do just that. When we checked out the A7 III’s pricier siblings, the A9 and A7R III, we were as wowed by the incredible capabilities as we were their extreme price tags. 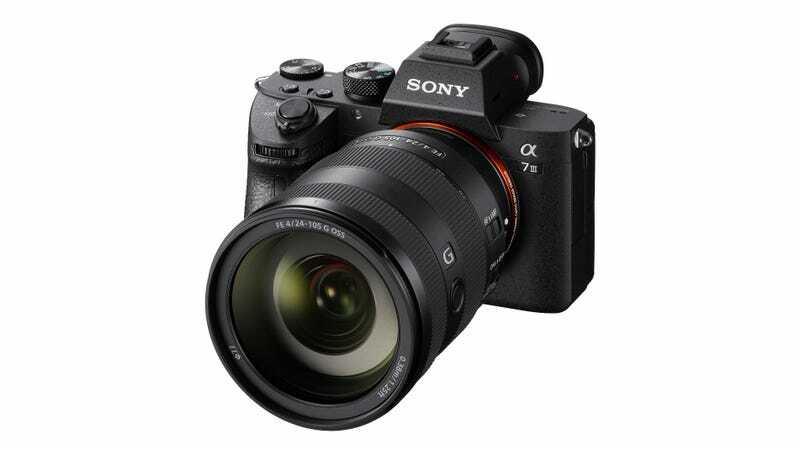 The Sony A7 III seems to be a designed to go for less (it’s $1200 cheaper than the A7r III and A9 $2500) while doing aaaaaaalmost as much. With a top shooting speed of 10 frames per second, this camera won’t shoot as quickly as the A9 with its blazing 20fps clip. The A7's 24.2-megapixel sensor is much lower resolution than the 42.4MP sensor found in the A7r III (It’s the same resolution as the sensor found in the A9). This camera isn’t meant for shooters hoping to capture the clutch pass at a basketball game, or create portraits intended for coffee table books. This camera is meant for people who want a lot of the cool features Sony has been putting out in its mirrorless, full-frame bodies, but at a fraction of the cost. So it includes things like completely silent shooting, in-body image stabilization that’s reportedly good for up to 5 stops, 4K video, and up to 693 autofocus points. Speaking of which, the new A7 III also has the A7R III’s ability to focus on the eyes of a subject (which is super useful for wedding photographers). It evens has a joystick, which means you can have your eye up to the electronic view finder while still choosing autofocus points (it also makes it way easier to navigate the camera’s many menus). Sony also claims that the A7 III will have the best battery life in a mirrorless digital camera. Ever. 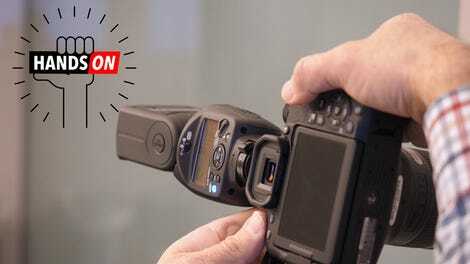 CIPA (Camera & Imaging Products Association) has rated it for up to 710 shots on a charge. That’s great news to my ears, as my Panasonic GH5 is only good for up to 400 shots. Its battery life is so bad I’ve had to invest in multiple batteries just so I can make it through a few hours of shooting. Currently, I’m sighing as I look at my GH5, which is an excellent camera that I love. At $2000, the Sony A7 III and Panasonic GH5 are priced nearly identically. But with its full-frame sensor, crazy good battery life, and neat autofocus features, the Sony is giving me some serious camera envy. Hopefully, I’ll be able to work through that envy before the Sony A7 III is available in April. This post has been updated with minor copy edits.